How do you develop a game-changing mind-set so that you can succeed in this new fast-paced, fast-evolving, highly competitive, global environment? The world is changing at an exponential rate. Industries are being reinvented. Products and services are being commoditized at a faster rate than ever before. Companies are trying to sustain their foothold in a world of changing paradigms and innovation is paramount. Replace constraining and outdated beliefs with inspirational and uplifting ones. Achieve clarity on the right things to focus on in your personal and work lives as both become more intertwined. Identify and overcome mental barriers and organizational minefields. Understand the critical drivers of competition. Establish your own branding and personal competitive advantage. Vino Mehta is a Dream Maker. He will inspire you to dream and believe in your inherent ability to achieve that impossible dream. His inherent style is that of a King Maker of King Makers. He has coached, mentored, and transformed individuals and senior management in the personal, spiritual, emotional, and professional domains of their lives. Mehta has helped them achieve organizational transformation, culture change, productivity, and cost improvements, to compete more effectively in the shrinking world. His unique perspective helps his clients achieve a quantum jump to catapult them to their highest level of success. 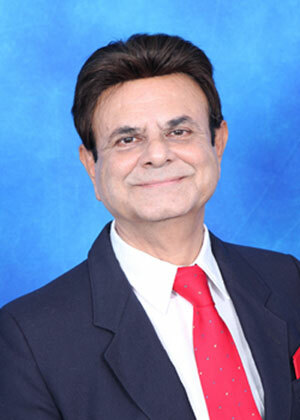 He is the CEO of a management consulting business where he has served as a strategic advisor for over 30 years. His clients include Verizon, IBM, Hawaiian Electric, the State of Hawaii, Adtech, Hawaii Newspaper Agency, and PeopleSoft. As a part of his own personal transformation, Vino and his wife, after traveling to cities around the world, chose to build their dream life in paradise on earth, Hawaii. Once in a while a book comes along that addresses major aspects of your life and pulls your diverse worlds into a meaningful context. This is THAT book. Vino presents his insights and perspectives in a concise easy to read manner so the reader has a ready road map for personal and professional self-development. This is a tool kit for bridging your Inner and Outer Worlds. This is a book that I will reread many times to glean new insights, find hidden meanings, and utilize the tools in new ways, and recommend the same to others. Business advice: 20th century: It is not what you know; it is who you know. 21st century: It is what you know, it is who you know, and it is what you know about yourself. Vino combines east-west-north-south to tell us not just how to succeed, but how to live. Thank you! Fantastic insights on how professionals can take performance, self-motivation, and satisfaction from ones happiness level at work to the highest levels. While Vino recommends this book to the professional in the Western Hemisphere, I think this would be equally or more relevant to the highly competitive environments in the emerging world where professionals are battling to get visibility and doing whatever is necessary to move up the corporate ladder. This book ties the internal battles and thoughts that everyone has on a daily basis and helps gets very prescriptive on how to deal with this in the context of a fast-changing external global business environment. Reading this book has made me pause and start to reflect on my past strategies and actions and reevaluating how I approach the future both from a professional and personal perspective. Well done Vino!! When this book gets published, I would like to buy copies for my team and every senior executive at Pepsi India. I know this book is going to be wildly successful. I am so proud to be associated with you!! An insightful, pragmatic guide in the multiethnic/cultural world of today and tomorrow. Practical advice for everyone in the workforce that will ensure personal and team success. Vino Mehta has unlocked the secrets to success in this very diverse and progressive global economy. His analysis and forecast on workforce competencies are right on the money. Also, his recommendations to strengthen our inner world are highly insightful. I will recommend this book to all of my patients and colleagues. How marvelous it is to be a part of the generation who is aware of our individual and unique sets of skills. This generation has the potential of being exceptional human beings and all that we have decided to be, while at the same time being wary of our own complexities that set us back. I am in that journey and am fortunate to have found an accomplished, admired, and practical mentor who is in a position where I aspire to be one day. Vino Mehtaï¿½s book, Personal Competitiveness, is the guide and answer to my quest. I am sure you will enjoy, as I did, and be amazed at its strength and clarity and benefit from the generous sharing from this visionary. Move over, Stephen Covey! I'm buying copies for everyone I care about and strongly recommend it. Vino Mehtas new book, Personal Competitiveness, presents a powerful new and compelling approach to succeed in the global economy. Everyones work and personal environments is affected by global events and business strategies. How one succeeds today depends on understanding your Inner World and becoming successful in your Outer World. Vino presents wisdom gained from his extensive experience in navigating corporate landscapes and profoundly interweaves unique spiritual insight to offer holistic guidance for anyone seeking to break through barriers to personal success. Vino imparts a thought provoking global business perspective that is enhanced with his own heart-warming self-revelations. His desire to see others succeed is delivered in this book, a genuine gift to the reader. I am extremely impressed with Mr. 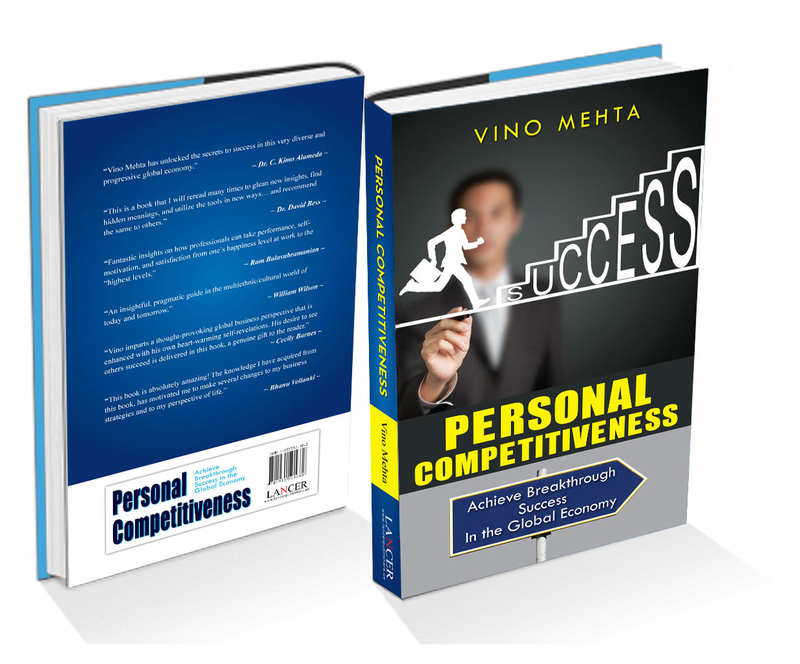 Vino Mehtas new book Personal Competitiveness and the unique approach & strategies in the global market. Vino presents, in his book, enlightening guidance, first to understand yourself, [to have] full use of the power of the mind, what do we really value, then learning to add value everyday and then planning your long-term success strategy. I have known Vino Mehta for a number of years and attended his seminars and he is a man that we can all learn from. I am so pleased that he has taken the time to publish this very informative book that can surely benefit each of us in the global market. This is the most motivational book I have ever read in several years. It has inspired me immensely. Vino Mehta has such an innovative and holistic approach to the current global events. I would recommend this book to everyone who wants to be successful not only in their business but also in their personal lives. This book is absolutely amazing! The knowledge I have acquired from this book, has motivated me to make several changes to my business strategies and to my perspective of life. I am quite confident that these changes will make me a more experienced and successful businessman and a better person. I truly believe that this book will bring great insight to every reader that reads it.